Photo Courtesy of WPA : Erin Freeman of Richmond will become the new Artistic Director for Wintergreen Performing Arts on October 1, 2014. 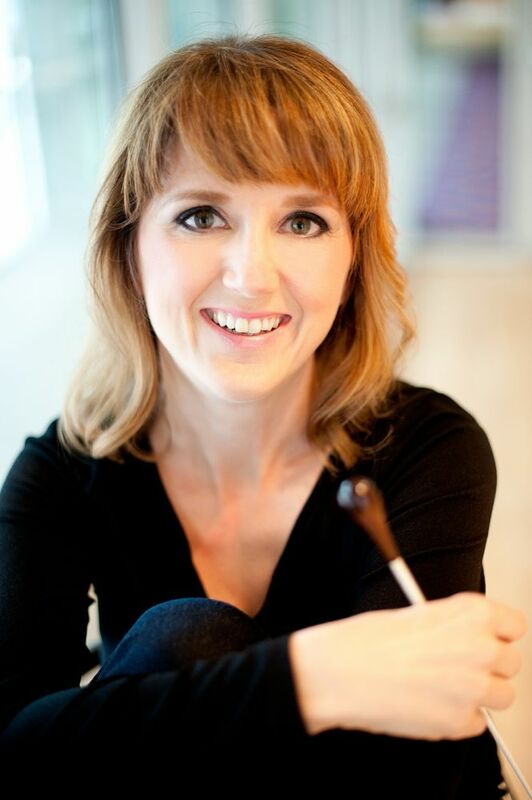 With her background in orchestral, choral, and ballet conducting; secondary, college, and conservatory teaching; artistic and community planning; and non-profit management (as well as a love for Central Virginia), Erin Freeman will become the new creator and producer of the Wintergreen Summer Music Festival and the associated Wintergreen Summer Music Academy, as well as the organizer of other WPA programs throughout the year. She will work with the Board and relevant committees on development, strategic planning, promotion and marketing efforts. Dr. Freeman also holds a newly created position in Richmond, VA, sponsored by the Richmond Symphony, where she continues work as Director of the Richmond Symphony Chorus, and Virginia Commonwealth University, where she is Assistant Professor/Director of Choral Activities. This joint position comes on the heels of a successful seven years as the Richmond Symphony’s Associate Conductor, and will include overseeing all of the choral ensembles at VCU as well as vocal chamber music, and preparing the 150-voice Richmond Symphony Chorus for all of its performances. As Associate Conductor and Chorus Director of the Richmond Symphony from 2007-2014, Dr. Freeman conducted subscription concerts, led the Pops and Lollipops Series, spearheaded the Symphony’s education initiatives, including its four youth orchestras, and directed the 150-voice symphony chorus. In 2012 she prepared the Richmond Symphony Chorus for an historic performance and recording of Mahler’s Symphony No. 8 with the Virginia Symphony, under the direction of JoAnn Falletta. Dr. Freeman maintains an association with the Buffalo Philharmonic Chorus, for whom she has served as Music Director, and with the Buffalo Philharmonic Orchestra, where she has been a frequent guest conductor. She has also been a Guest Conductor for the South Carolina Philharmonic, the Savannah Symphony, the Richmond Ballet, and other ensembles in Maryland, Virginia, Georgia, Missouri, and Illinois. Passionate about making classical music accessible to all, Erin Freeman led the Richmond Symphony’s ground breaking Come and Play program, resulting in a community orchestra of over 650. She has served as Director of Orchestras at Baltimore School for the Arts and American University, Conductor at Northwestern University’s National High School Music Institute, Lecturer for the National Philharmonic and Baltimore Symphony, Music Director of the Richmond Philharmonic, and Resident Conductor at Peabody Conservatory. She has instructed national seminars for the Conductor’s Guild, and serves on their board of directors as Vice President. Winner of numerous awards, including the Women’s Philharmonic Conducting Scholarship, Dr. Freeman was selected by Virginia Lawyer’s Weekly as one of Virginia’s 50 most influential women. With degrees from Northwestern University, Boston University, and Peabody Conservatory, she has studied and performed in masterclasses with such notables as Gustav Meier and Robert Shaw. Located at Wintergreen Resort, Virginia’s beautiful Blue Ridge Mountain destination southwest of Charlottesville, Wintergreen Performing Arts has enjoyed 19 continuous, successful years of operation since its founding in 1995. Its primary focus is the four-week Wintergreen Summer Music Festival, launched in 1997, and featuring national and international artists, music Academy drawing active participants from across the country, and events and performances that embrace the performing, visual and literary arts. About Wintergreen Performing Arts, Inc.: Wintergreen Performing Arts, Inc. is a 501(c) (3) non-profit organization that produces a high-quality summer music festival, as well as other performing arts programming throughout the year. The presentation of symphonic and chamber music is at the core of its mission, but by attracting first-rate artists to serve as performers and educators, it diversifies its musical programming as well as offers educational opportunities in the literary, culinary, creative and performing arts to the communities of Central Virginia. Education is a major part of the organization’s mission reflected both in the Wintergreen Summer Music Academy and in the variety of cultural programs it presents. It strives to enrich the lives of a broad audience of individuals, who participate as residents or visitors, in the unique Wintergreen experience. For more information, call (434) 325-8292 or visit WPA’s web site at www.wintergreenperformingarts.org.